Stress can take its toll on both your mind and body over time. A hectic home or work life can leave you feeling tired, drained, and demotivated. A pet can help you to not only cope with stress but can actually lower your stress levels altogether. This is good news considering almost half of American households are home to a dog. 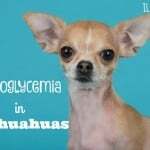 As a chihuahua owner, there are several ways that your four-legged friend can help to ease your anxiety and improve your mental state. When we’re stressed out, our body releases a hormone called cortisol to help cope with the after-effects. In small doses, cortisol can be beneficial. It helps to control blood sugar levels and blood pressure, regulate metabolism, and reduce inflammation in times of extreme stress. Over time, though, heightened cortisol levels can end up doing more damage than good. Excess cortisol can cause fatigue, depression, anxiety, and even weakened bones. The best way to regulate cortisol levels is to avoid stress whenever possible, and your four-legged friend can help you to do just that. Spending time with dogs has been shown to lead to drops in blood pressure and reactivity to stress. 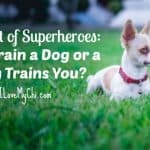 You can lower your cortisol levels and improve your blood pressure by playing with, walking, or even simply snuggling your chihuahua. Snuggling your pooch is also a good way to boost your levels of oxytocin, more commonly known as the “love” or “cuddle hormone.” This is the chemical that helps mothers bond to their infant or allows two adults to develop a deep romantic attachment. 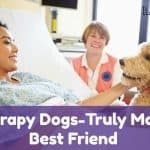 Oxytocin is an essential part of our arsenal of feel-good hormones, and by petting or playing with your pup, you can increase levels in your bloodstream. The release of oxytocin will help to boost your mood and reduce stress levels for hours after a good snuggle session. Humans are social creatures, and isolation can eventually lead to both mental and physical symptoms, including problems with learning and memory, anxiety, depression, and even circulatory issues. It’s important that we all experience friendly contact, preferably on a daily basis. This can be hard for those of us who live alone or work from home, however. A four-legged friend can be just as good as a human when it comes to curbing loneliness. Having a chihuahua around gives you the love and contact that you need. A dog also opens new opportunities to meet people through interest groups, at the dog park, or simply walking your pup down the street. Feeling stressed can do much more than just affect your sleep cycle. It can have a negative impact on both the mind and body that only gets worse with time. 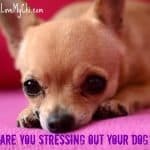 Luckily, your chihuahua can help to regulate your stress levels by providing the love and companionship that you need.